Leland F. Funke, age 95, of rural Theilman, died Friday, February 1, 2019 at Mayo Clinic Hospital-St. Marys Campus in Rochester. He was born February 16, 1923 in Theilman, the son of Ervin and Frances (Budde) Funke. He lived his entire life on the Funke family farm, a century farm located in Highland Township, near Theilman. He farmed the land his entire life. These last many years he raised Charolais beef cattle and share cropped with the Wolf family. Together with his brother, Budde, they owned and operated Funke Brothers Construction.Leland was a member of St. Joseph’s Catholic Church in Theilman until its closure. He then attended St. Patrick’s Catholic Church in West Albany. Besides his farming he enjoyed making various wines and sharing it with his family and his many friends. 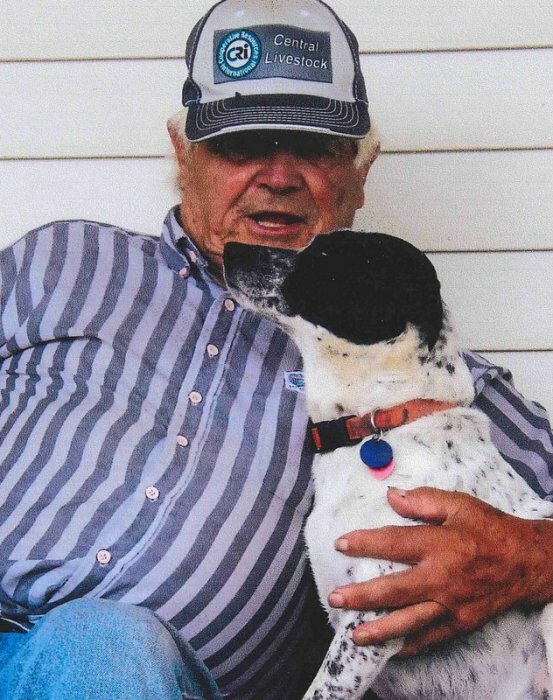 He is survived by sister-in-law, Joyce Funke, Theilman, MN, several nieces and nephews and grandnieces and grandnephews, and his trusted canine companion, Pepper. He was preceded in death by his parents, Ervin and Frances, two brothers, Budde and John “Jack” Funke and three sisters, his twin, Audrey Funke, Jean Klein and Geraldine Herrmann. A funeral Mass will be celebrated on Saturday, February 9, 2019 at 11:00am at St. Felix Catholic Church in Wabasha with the Reverend Father Gregory Parrott and the Reverend Monsignor Robert Meyer officiating. Interment will follow at St. Felix Cemetery. Family and friends may call at Abbott Funeral Home in Wabasha on Friday, February 8, 2019 from 4-7pm, concluding with a prayer service. They may also call at the church on Saturday one hour before the Mass.